Today we present you with our new allocation of the week: Domain Sylvain Pataille. 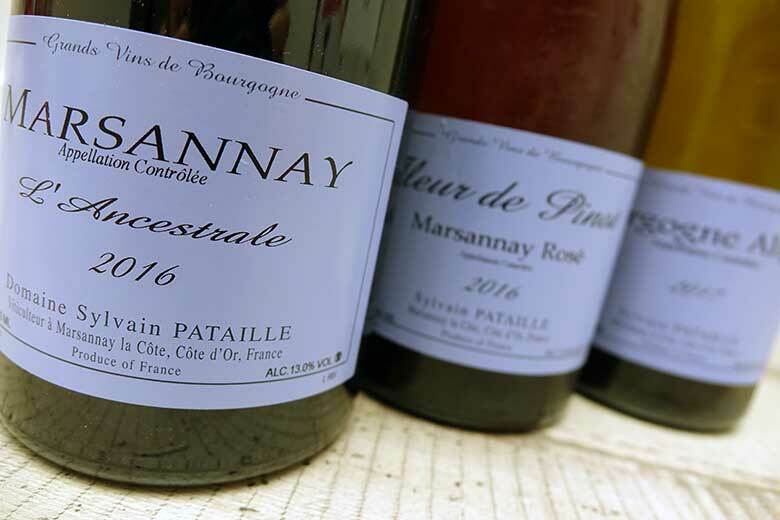 Some of the keys to success of this domain include his organic- and biodynamic-inspired work in the vineyard, natural vinification and perfectly mastered élevage. A flagship domain of the Marsannay appellation. While still working at the lab, in 1999 he had also begun cultivating a small parcel of vines in Marsannay, with only one hectare to begin with, then 4 in 2001, when he quit the lab. He then decided to concentrate his efforts on his small domain, whilst advising other winemakers who he’d previously worked with. “At the time, this wasn’t the done thing in Burgundy, unlike in Bordeaux, here laboratories would give advice to winegrowers at the same time as the sale.” He has continued giving advice to fellow winemakers to this day. For some time, he also worked as a teacher for interns and people changing career, before stopping in 2009 in order to devote more time to his domain which was gaining in importance. 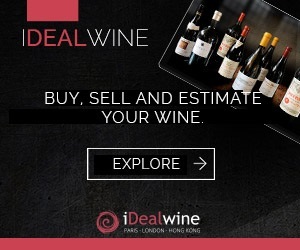 The vineyard has gradually expanded as Pataille has bought parcels from winemakers going into retirement. He also set up a merchant business, buying in around 4 hectares of grapes. He is also clearly very exacting in his provision of grapes: essentially organic grapes – or at least clean – produced by winemaking friends, but he harvests and treats his parcels himself. “In any case, I couldn’t buy grapes that I don’t like! 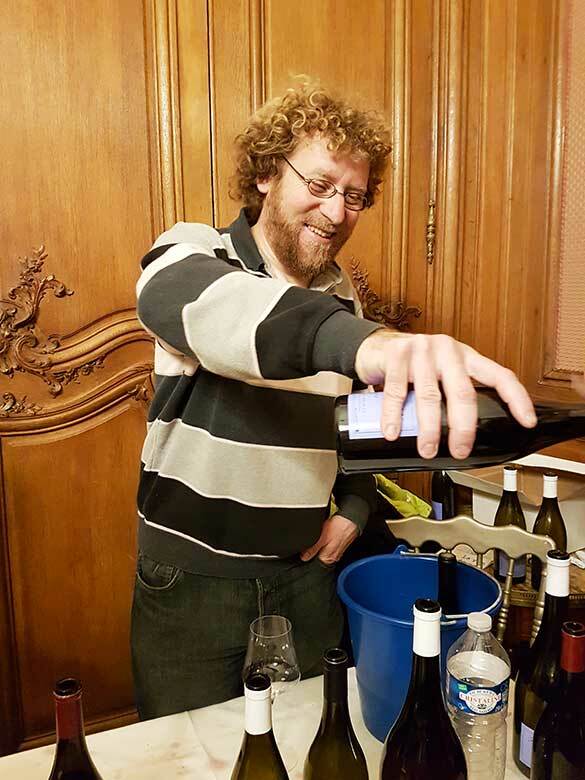 I love the Marsannay terroir, it’s what I know and enjoy doing.” He prioritizes low yields, ploughs his land by horse, and works according to principles of organic and biodynamic principles, with plant concoctions, the 501 preparation (crushed powdered quartz buried in cow’s horns). Sylvain Pataille’s wines have reached excellent levels. They are incredibly impressive in their elegance, sophistication and silky substance. 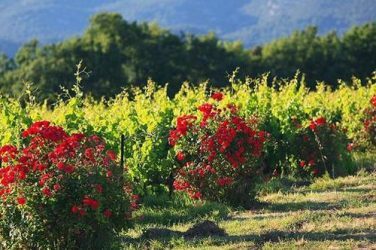 With the white, red, and even the lovely rosé Fleur de pinot, these are some of the great wines of the Côte de Nuits. 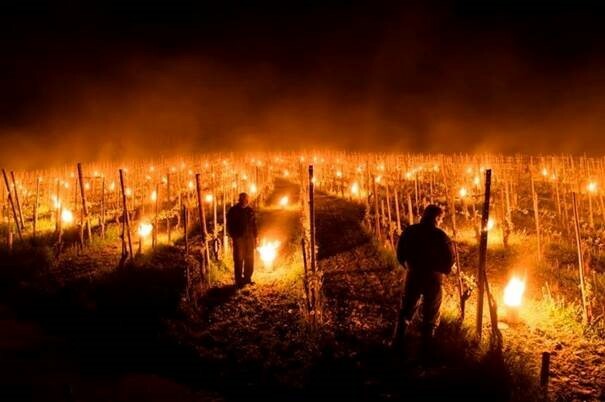 He has always found it extremely important to work in a manner that is respectful of vines, terroir and humans, but nowadays, he cannot really consider his vineyard as fitting with organic agriculture. What’s more, he lost certification in 2016 as he was forced to use an unallowed product in order to save his harvest. It was a very difficult decision to make. While he has started the process to regain certification, he nevertheless spoke to us at length about his ambivalent attitude to organic agriculture, bringing up certain incoherencies in the certification (certain harmful products are authorized while certain other – harmless – products are not…), and his fear of seeing European legislation decrease the doses of copper authorized, which would see many people abandon certification, given copper’s essential role – in organic agriculture – in fighting against mildew and powdery mildew. The domain also follows biodynamic principles, but without certification as they no longer recognize themselves within the official bodies and their “suffocating administrative steamroller which is not based in reality and if full of preconceived judgements incapable of questioning their practices”. It’s thanks to winemakers of this caliber, who put their passion and talent at the service of the great terroir of Marsannay, that this relatively young appellation (1989) has been able to raise its profile and establish itself as one of the great wines of the Côte de Nuits. A big well done from us! 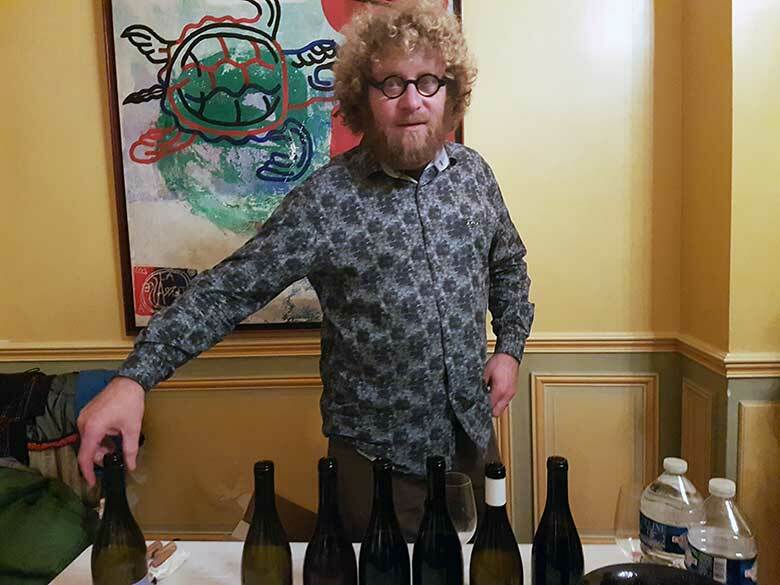 Sylvain Pataille is one of the most ardent defenders of the terroirs of Marsannay and Chenôve, with the little-known Clos du Chapitre, situated on the edge of the Dijon agglomeration. Having been organic since 2008, the domain lost certification in 2016 for having used a prohibited treatment, a difficult decision to save the few grapes which had survived. “This exacting winemaker is committed to maturing his wines for a long time, sometimes more than two years, almost without sulfur. The wines are sincere and full of vitality; they deserve to be more widely known, especially the aligotés, which have truly wowed us. 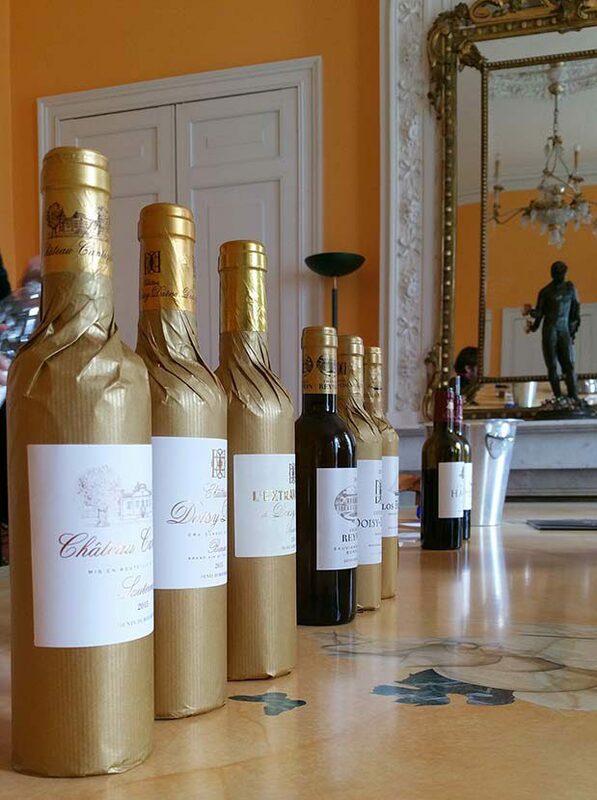 The wines: with yellow fruits aromas, the white Les Méchalots pleases us with its energy and ripe fruit. With its slight, toasted reduction, the white Marsannay combines body and salinity in a coherent, complete ensemble. At once ripe and resplendent, the simple aligoté is luminous and fruity. There is such energy in the citrus fruit flavors, lifted by a slightly bitter finish! The original Fleur de Pinot is a great rosé, with a certain woodiness which lends it some aging potential. Slightly smoky and infused, the Bourgogne rouge 2016 offers vibrant fruit, lifted by flavors of blood orange and pomegranate. The refreshing Marsannay rouge 2016 is ripe and concentrated, drinking beautifully now but will age excellently. Vigorous, full, quite juicy and structured by slightly powdery tannins, La Montagne will amply reward cellaring, developing fully in flavor.